We spent our beautiful, sunny, and warm Saturday afternoon going for a leisurely walk around downtown and the short north. We had a nice lunch at ZPizza which offers organic, all-natural, and gluten-free food. We stopped in a few local shops and learned about Everybodyrides, a program where local retailers in the Short North provide bikes for people to borrow to get around town then return when done, a greentastic concept! Read more about Everyonebikes here. Before we made it downtown we stopped at one of our favorite local toy stores, Larson’s, in Upper Arlington. They sell many wooden and safe toys for kids and babies. They have a wide selections of all types of toys and games. 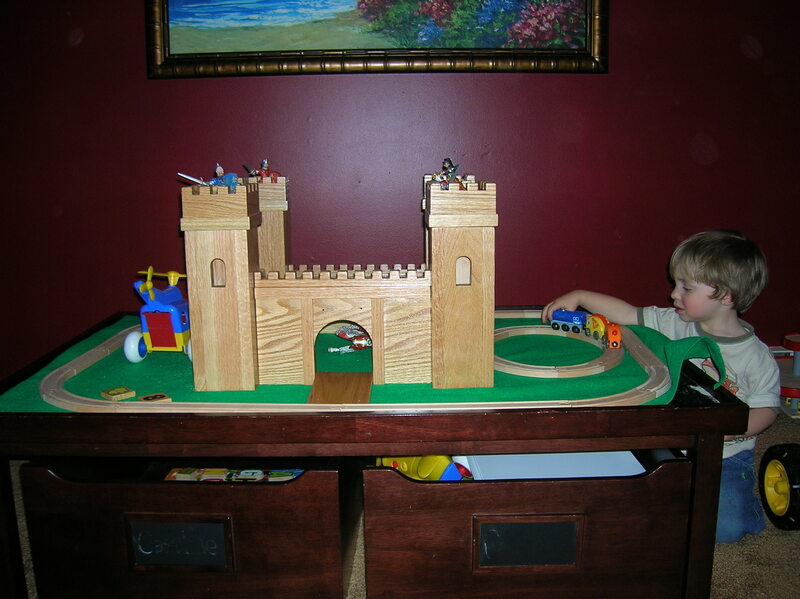 We were looking for train tracks to put around the castle that Greg built with his friend Shane for Jack for christmas. While checking out I noticed a sign that said they offered a free gift for any customer turning 2! 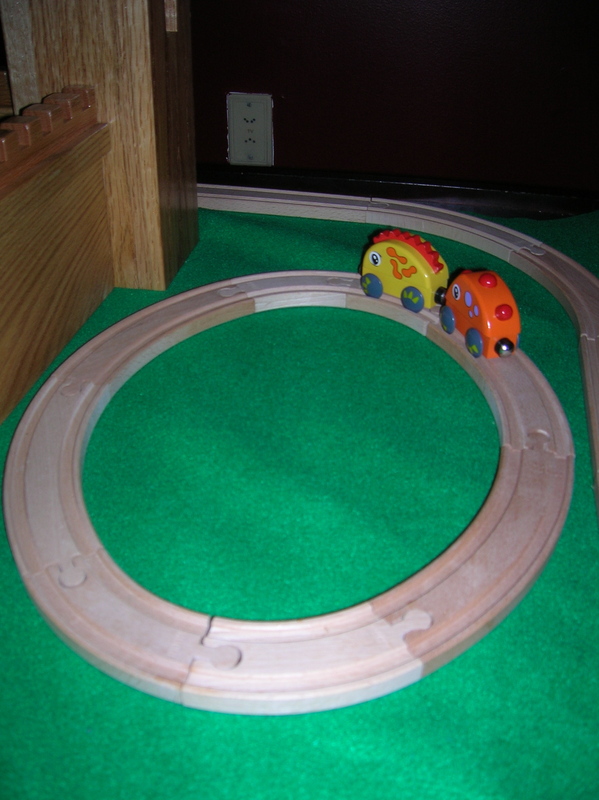 It was a oval train track by Nuchi with 2 colorful dinosaur train cars, valued at $19.95. I was pumped! I love Nuchi trains, it is a great company with high standards for safety. Nuchi is a subdivision of the Little Little Little Toy company or the little3 toy company . The little company was started by Peter Reynolds, former president of BRIO’s American subsidiary. He split from brio due to a personal conflict. I spoke directly with Nuchi and despite being made in china, which I’m not crazy about, they comply with the American and European safety standards ASCM 963 and EN71. They could not guarantee zero ppm lead but said they do extensive testing and are always well under the standards listed above. They aren’t designed to be replica’s of existing trains but have a more playful, and colorful look, enticing children’s imaginations. According to TD monthly, this is a great up and coming company. 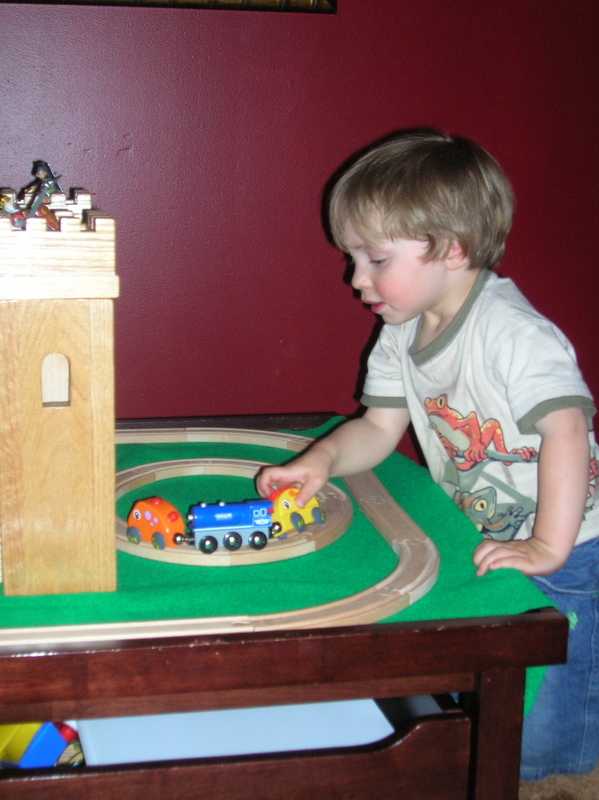 Nuchi trains are compatible with brio and thomas train sets. The free train set Larson’s is giving out is the perfect size for little hands. It is so hard to find anything for free, let alone a high quality train set! I recommend any parents of a 2 year birthday boy or girl to pay a visit to Larson’s! 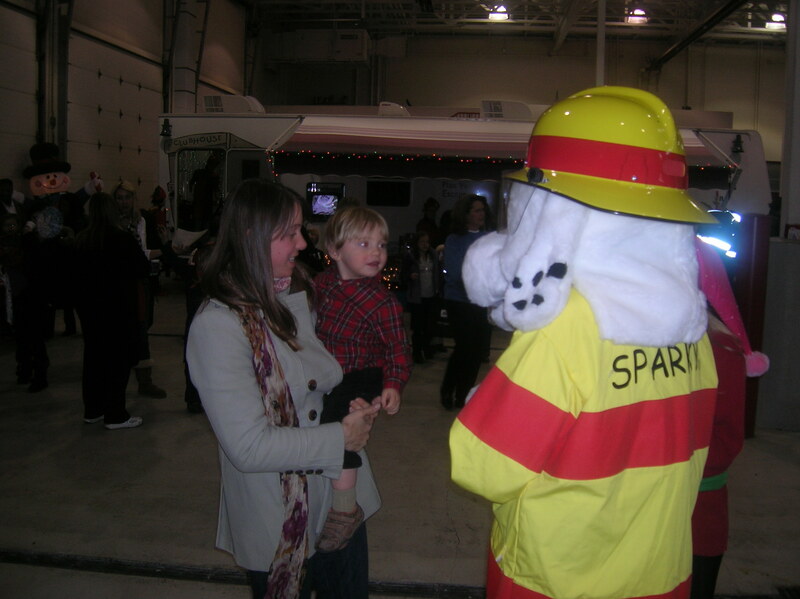 Jack went to the New Albany Fire House to meet santa, do crafts, and donate a toy to another boy in need. Heat water in the base of a double boiler to 125-135 degrees (maintain that temperature throughout process). 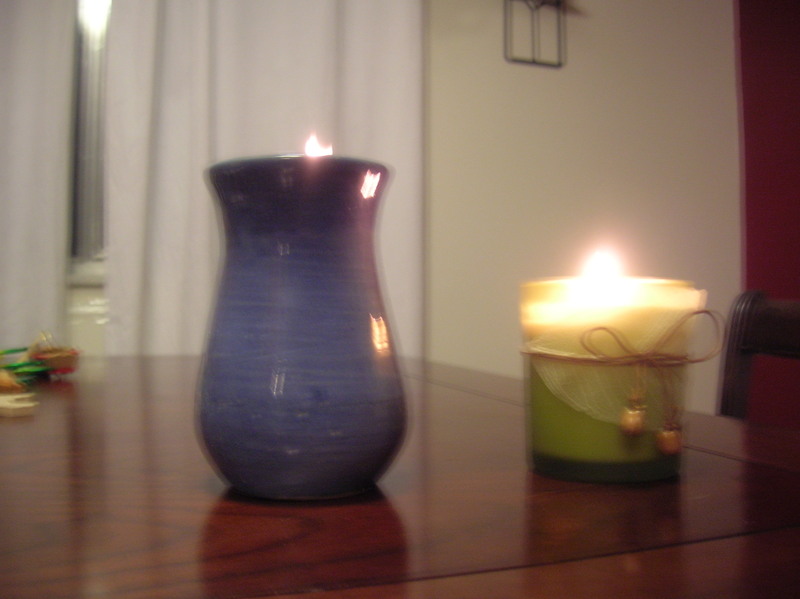 Use a small wick for 1-2 inch diameter container, medium wick for 2-3 inch diameter, large for 3-4 inch and X-large for 4-5 inch diameter.&nbsp; For larger containers double wick but be carefulot to place the wicks too close or they will drown each other out. Trim the wickReady to gift or burn and enjoy! 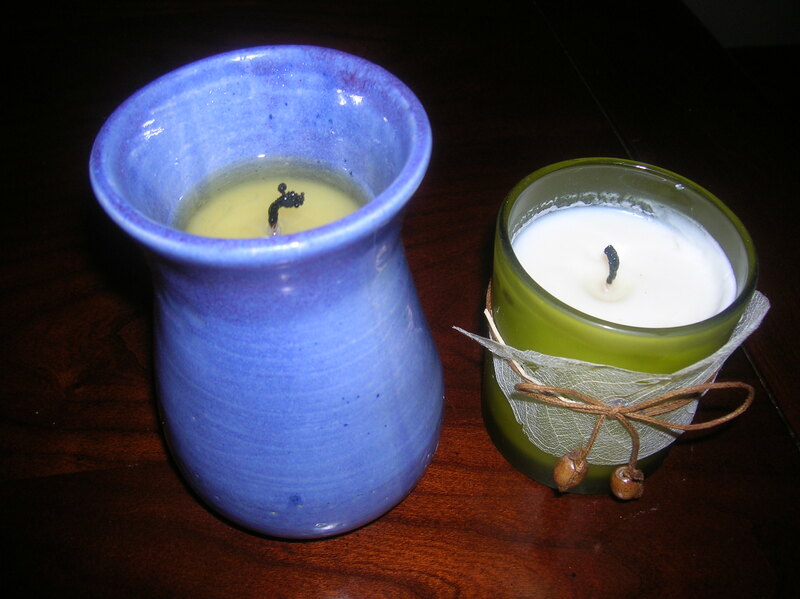 Look for all natural ingreadients localy at Makes Scents Candles in Pataskala. The Green Choice: Real or Artificial Christmas Tree? Welcome to the weekly series, Growing up Green. This will be your eco-friendly stop for green, all-natural, toxin and chemical free tips for your family. 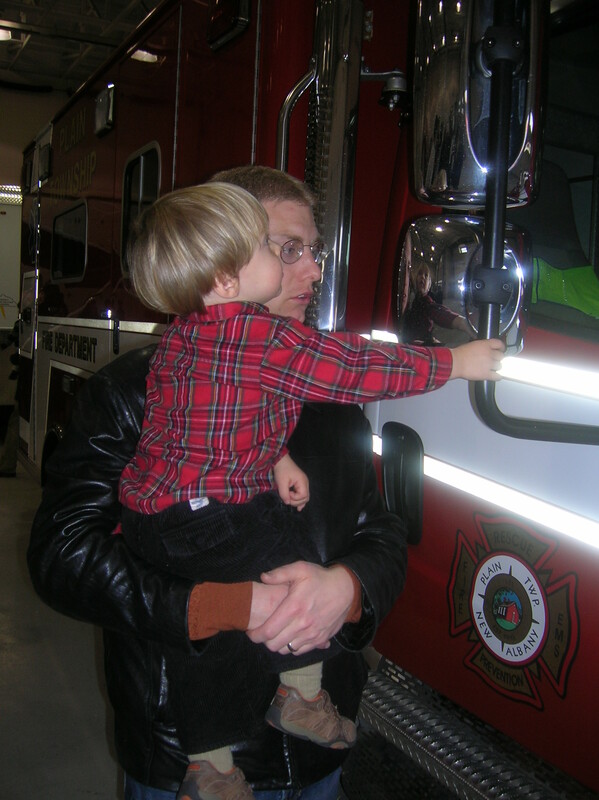 Learn simple and meaningful ways to make your children’s environment a little safer for their health and the earth. This has been a long time debate with strong supporters on both sides. There are pro’s and con’s to both real and artificial trees but after breaking down the data there becomes a clear Green Star. Older trees may contain lead. Tree farms absorb CO2 and emmit fresh oxygen. 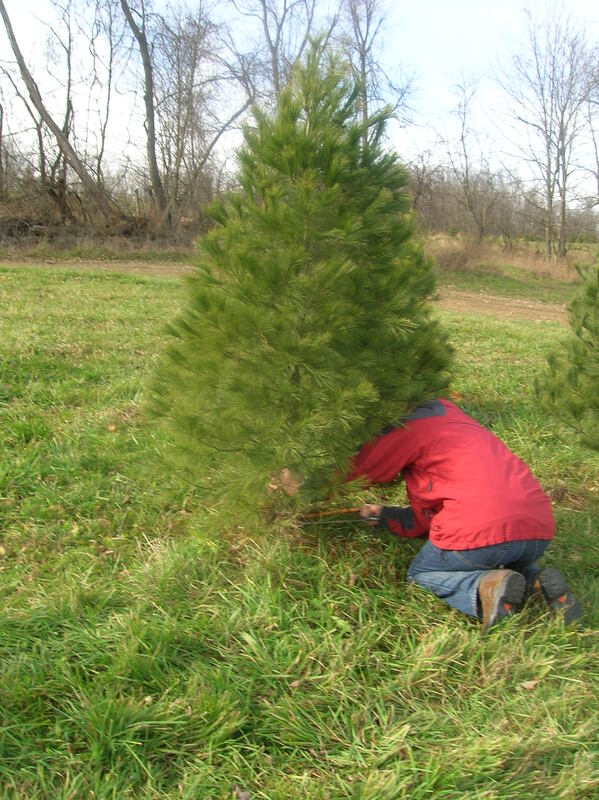 Christmas trees in the US provide enought oxygen for 18 million people daily – wow! Real trees can be treecycled into mulch for your garden, learn more about treecycling here. Find a location near you here. In Columbus, Ohio bring your tree to SWACO for drop off. Contact here or here for pick up. If you would like to take home the mulch from your tree try Kurtz Brothers. The Green star goes to….. the real tree! Read about different types of trees available and care for your tree. Also check out these top 10 Christmas Tree myths. My family has had a long tradition of cutting down our own tree. 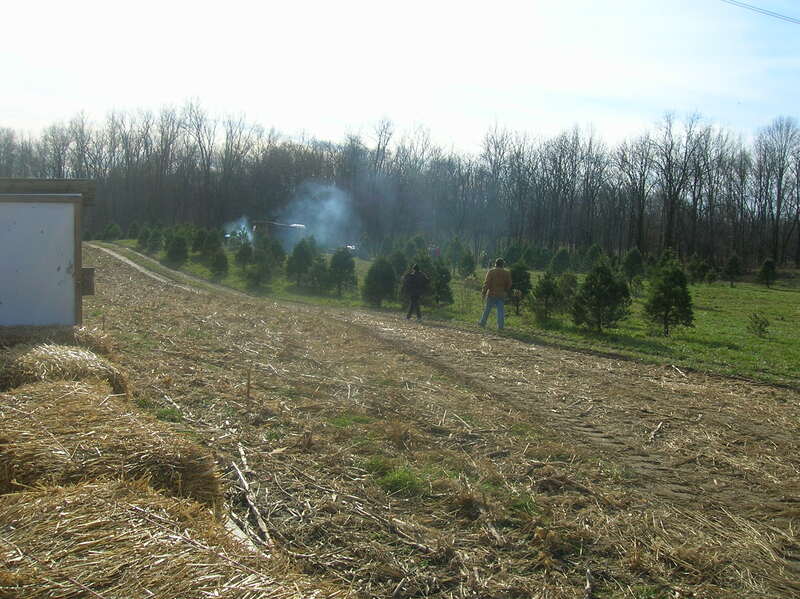 As a child we went the day after Thanksgiving 45 minutes down the road to a tree farm. We hunted for the perfect family tree. 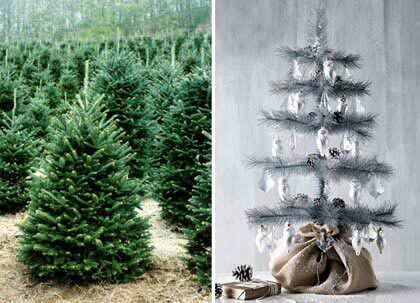 I usually wanted the largest tree possible with long, soft needles, such as the white pine. 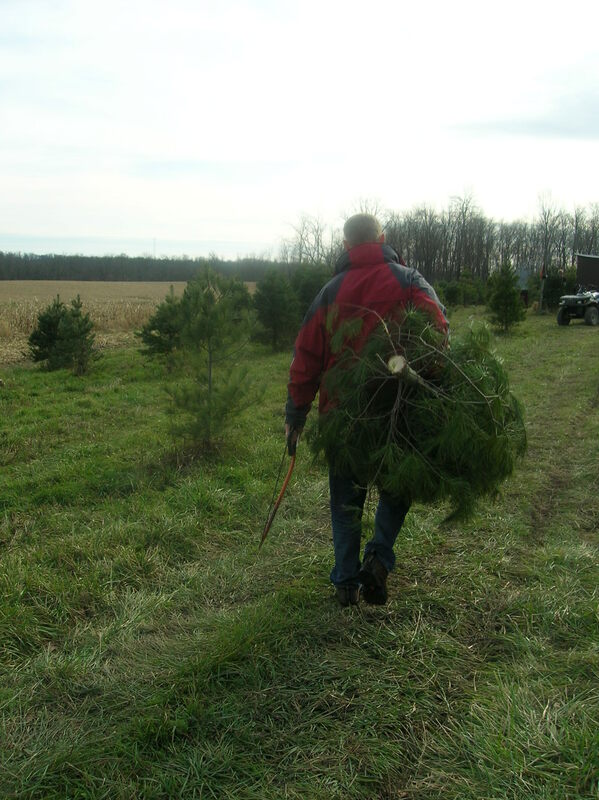 My mother usually went for a smaller fir tree with short, strong, and stiff needles. We have alternated over the years through different types. 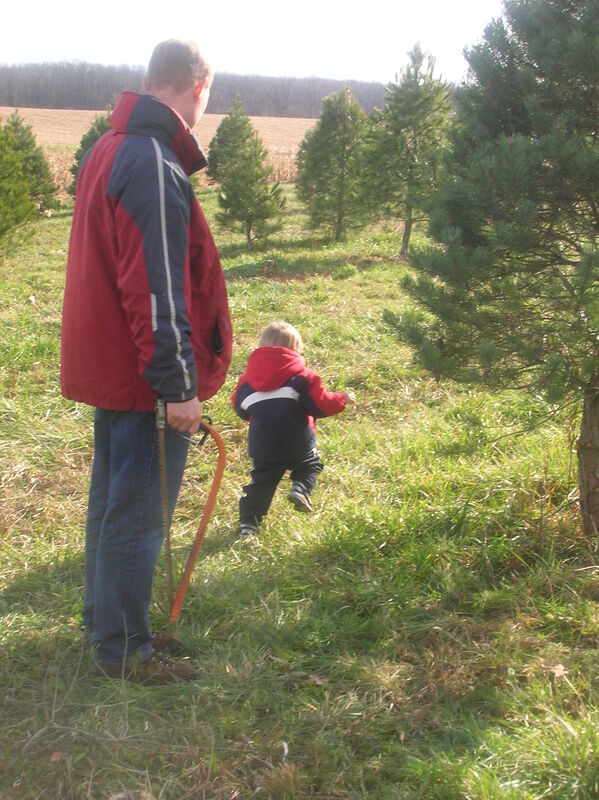 I enjoyed watching my dad cut down our special tree. My dad took out the back bench of our van and sometimes let my sisters and I sit in the back with the tree (probably not the safest idea, but we thought it was soo cool at the time). We kept the tree outside for a few weeks before brining it in to decorate. My dad played Christmas music and made popcorn while decorating the tree. Eggnog and hot chocolate were often part of the event. My mom always did the lights and we all helped with the ornaments. 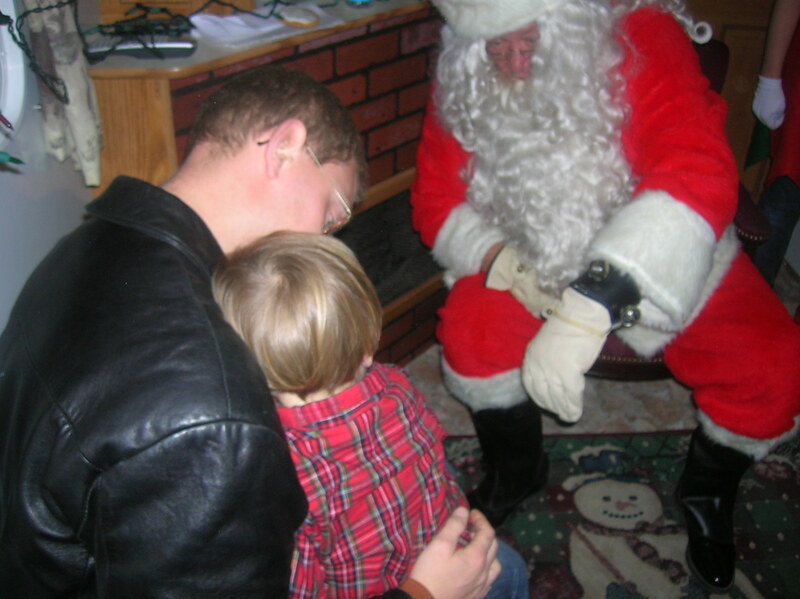 It was a fun family tradition. 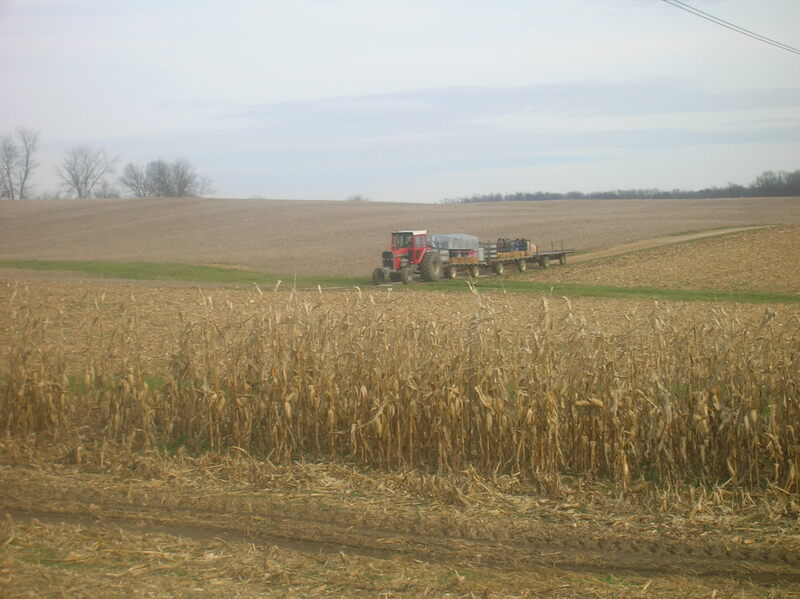 Last weekend we headed 20 miles to Homestead Farm in Alexandria, Ohio. We had such a positive experience last year that it was a no-brainer to head back to the same farm this year and hopefully many years to come. Jack thoroughly enjoyed the tractor ride to the field. Tractors and trucks are very exciting to Jack. 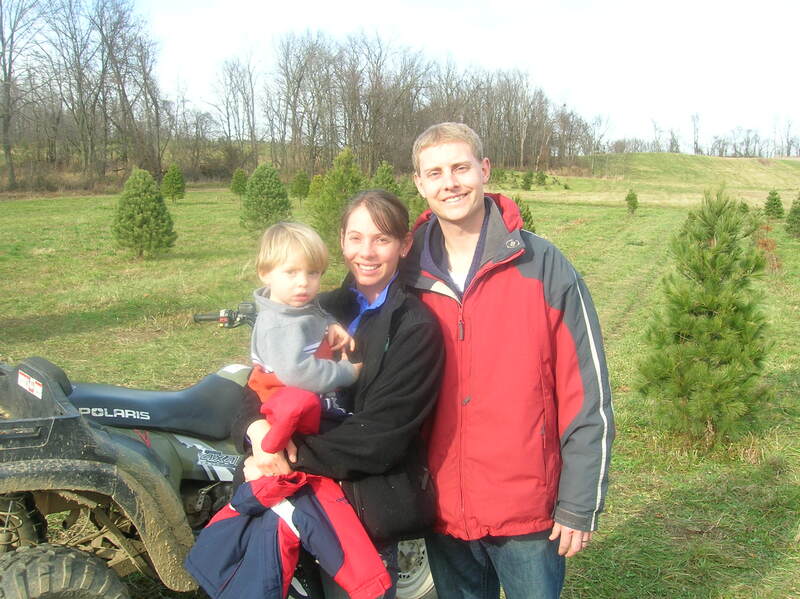 We enjoyed a pleasantly sunny and warm day and plenty of trees to choose from. We found a winner right away but explored the field for a while to enjoy the fresh air before heading back to the barn. We chose a 7ft white pine; perfect for the spot we planed for it in our home. Its amazing how much smaller the trees look outside compared to in the house! Turbinado, Rapadura, Sucanat, Stevia??? Where do I start? What’s the difference? Is one cup of white sugar the same as 1 cup of Rapadura or Turbinado, or Raw? I’m getting a headache! After putting in several hours of research here is a synopsis of what I found and a handy chart to tuck in your re-usable shopping bag when at the store. Let’s start with the traditional refined white sugar. 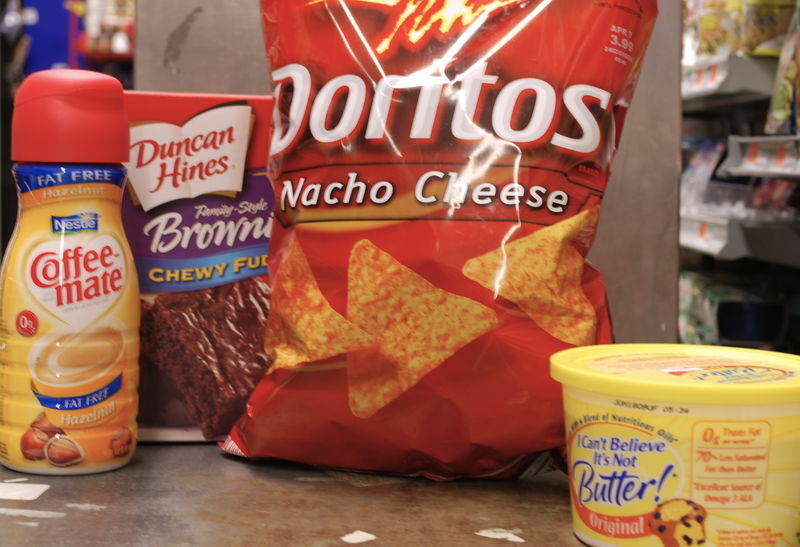 If you guessed this is the worst and most unhealthy, you are correct! White sugar has been heated and filtered to the max, not to mention, bleached, so that all nutrients and molasses is filtered and heated out and what is left is fine white crystals with no nutritional value. 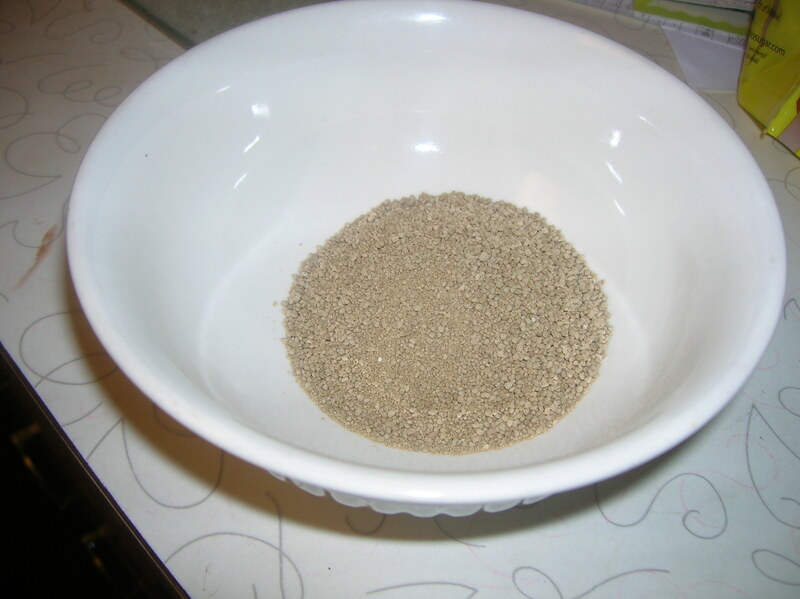 Brown sugar goes through the same process but with some of the molasses or caramel coloringbeing added back in (at different ratios for light/dark). This sugar is produced when the juice from crushed sugar cane is extracted and evaporated with heat. The sugar crystallizes and is spun in a centrifuge. This removes additional moisture and molasses (the nutrient dense portion of sugar). A small amount of molasses remains. Turbinado often comes from Hawaii, one company that produces a form of turbinado is Sugar In The Raw, out of Maui, Hawaii. (Washed Raw Sugar) is processed similar to Turbinado. The name Demerara is from the Demerara River in the Guyana region where this sugar was grown. It has similar nutritional value to Turbinado. They are both a light brown, large crystal sugar. An example of Demerara is here. 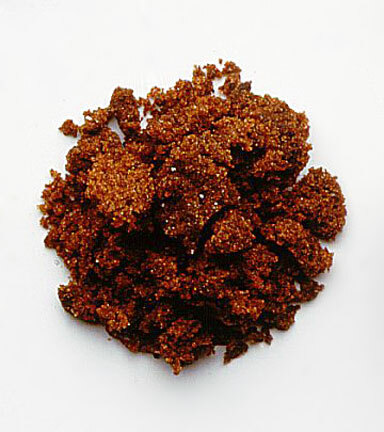 A dark brown sugar from sugar cane after evaporated, heated, pan-evaporated in the sun, and finally pounded. It retains a lot of nutrients and is tends to be hold extra moisture, therefore it may take some experimenting before using in baked goods. Muscovado comes from Mauritius, an island of the coast of Africa. This is an unrefined and unbleached sugar by Rapunzel, harvested in Brazil. 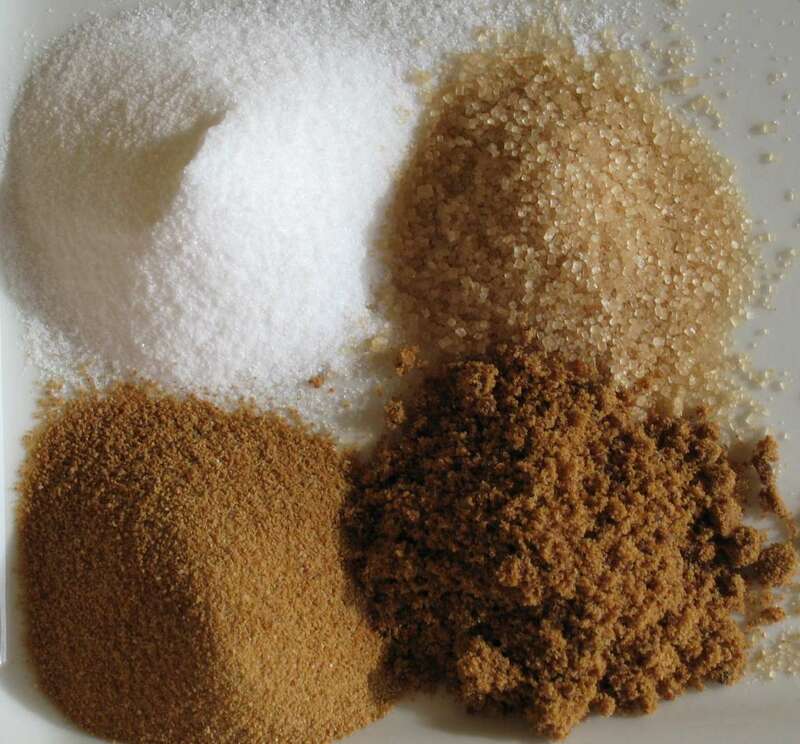 Organic Whole Cane Sugar is not separated from the molasses during the squeeze-dried process. It is known for a unique caramel flavor. It can be substituted for white sugar in a 1:1 ratio. The Rapunzel is very eco-conscious and has been since 1974. They grow and purchase through the Hand in HandTM Fair Trade program. Rapunzel works with local small farms in South America and contributes to educational, health and environmental programs in the local community. Sucanat stand for SUgar CAne NATural which is a brand name of this first whole, unseperated, unrefined sugar sold in the US. Sucanat comes from whole sugar cane from Costa Rica. The sugar cane is crushed, the juice extracted and heated then hand-padded dry. They are certified Fair Trade and Organic. I have read several sources that state that for a period of time Sucanat removed the molasses and then added it back in, therefore no longer “whole”, but have since reverted to their original practices. I have not confirmed this information with the company but have read it on several sites. 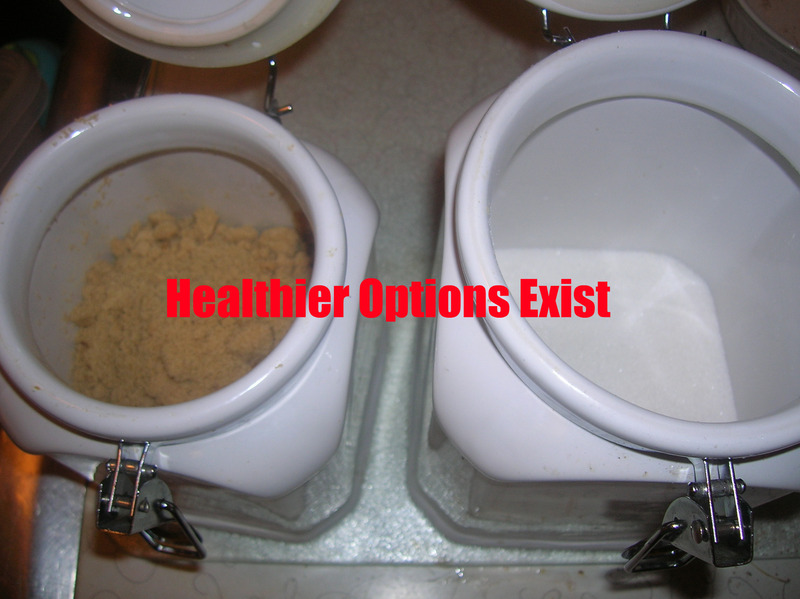 All of the above sugars can be subsituted in a 1:1 ratio for white or brown sugar or used in coffee and other beverages. I have tried Demerara and now moved onto Rapadura. I like their green practices and consistant product. I feel liberated to know that I know have more nutritions and healthy staples in my cubbards. I only wish I would have found these jewels years ago. Most of these sugars can be purchsed in bulk online at Azure. Below is a handy chart I found at The Center for Process-Free Living. Have you tried any of these sugar alternatives? What has been your experience? 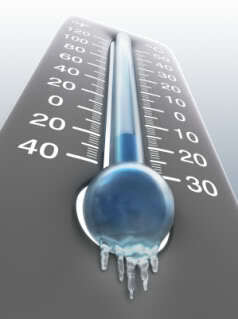 The mercury is dropping which often times means a skyrocketing heating bill. We live in an old home built in 1959. There are many cracks and crevices for cold air to sneak in uninvited! Over the past few weeks we have been gearing up for the winter and prevention of that unwanted out of control electric bill. We started with developing a game plan for heating our home. The house is equipped with baseboard electric heat which I’ve heard is very inefficient. We also have a wood burning stove without a blower and one energy efficient space heater. Initially we thought we would be doomed with the baseboard heating. However we did some investigating and spoke with a patient who is an electric engineer. He said that baseboard heating can actually be very efficient when used properly. He said to turn them on when you are in a room and off when you leave. They work well heating small spaces. This will be great for the 2 bedrooms we use (the third room can just remain off). It may be a little chilly when first going to bed but after testing it out they actually heat the rooms surprisingly quick. They can be turned off during the day when the rooms are not in use. We thought we would have to turn on all base boards in all rooms at a minimum thermostat level to prevent frozen pipes but he said that is not necessarily the case. That brings us to the large living space where the kitchen, dinning and living rooms are located. Baseboard heating would not be efficient in this area so we tested out our wood burning stove. I was not too optimistic about it. I’ve lived in homes with a fire place and it only heated a few feet in front of the hearth. However, our neighbor has a stove and said it heats his entire house (his has a blower and duct system though). We were hoping ours would at least heat our living area. So on a cool night we tested it out. We were pleasantly surprised. That thing was HOT!! It was in the 30’s outside and Greg had to put on shorts, he was sweating so much! Granted he really loaded it up with wood thinking it would be a bust. The entire living area, all 3 rooms registered at 80 degrees. Its amazing what a difference it makes to with the stove that is not within the wall like a fire place. 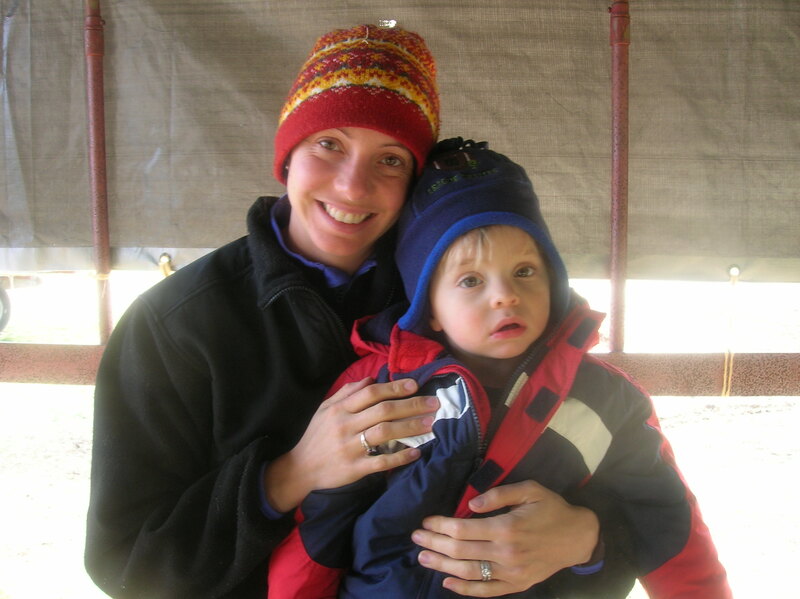 I then emailed Jack’s midwife, Abby who lives on a large, beautifully wooded lot with many, many acres of woods. She kindly allowed us to load up on fire wood and welcomed us back for more if needed. I am now confidant we can heat our house at a low cost without breaking the bank! Next was to seal up the cracks and crevices to prevent our cozy heat from escaping. 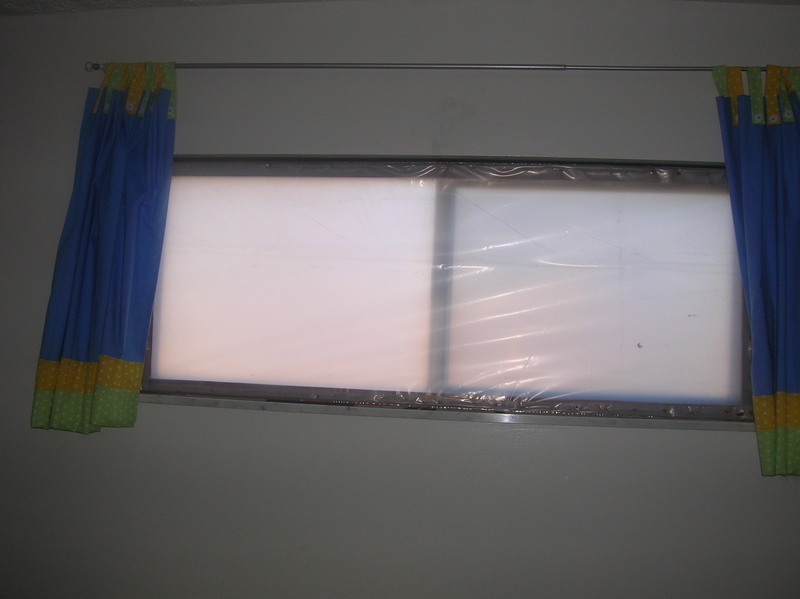 We started with the bedroom windows. Greg created a wooden frame with heavy duty plastic staple gunned to the frame to create a barrier to place in the window. We lined it with foam and shimmied it into the window. There is no way even a molecule of air will get through that contraption! The only down side is the plastic is not clear, it’s a cloudy white color. I don’t mind because we don’t spend much time in the bedrooms outside of sleeping. The sun does still come through and brightens the rooms too. We did this for Jack’s room and ours. 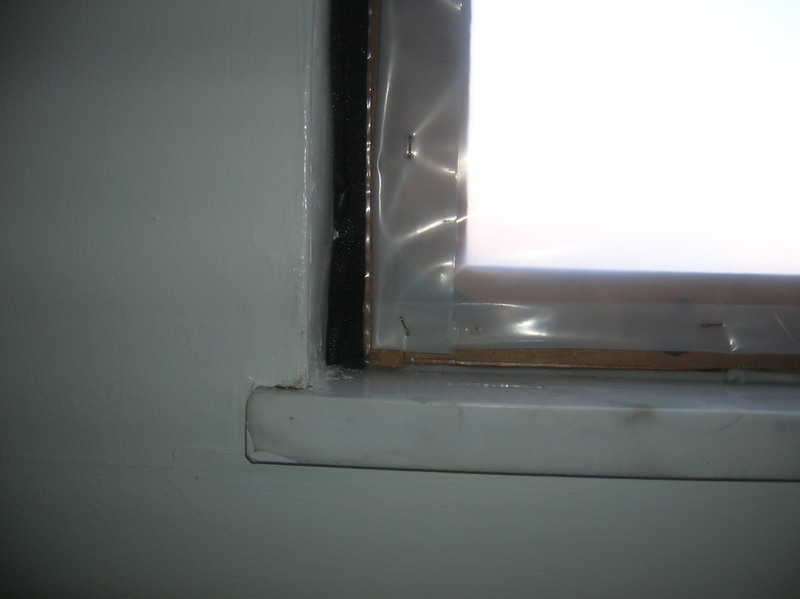 For the windows in the bath, spare bedroom, dining room and the large bay window we purchased kits to cover the windows with plastic using double sided tape and a hair dryer. Greg’s parents were over and couldn’t even tell the plastic was there. Our curtains cover the edges nicely and the hair dryer helps remove all wrinkles. To tackle the window wells we bought plastic covers, which Greg screwed into the brick to prevent snow from falling in. We did purchase a second space heater incase we might need it. Finally, we will be foaming one leaky door which we won’t be using during the winter. I can tell our efforts have already paid off, our electric bill this month was less than last month and we have even used the bedroom baseboards a few times already. 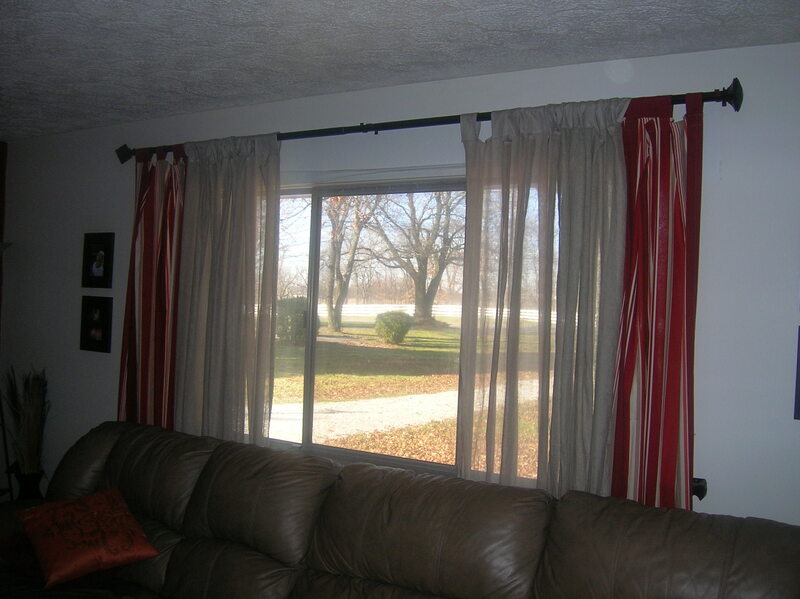 Can you see the window covering? Additional winterizing we will be finishing up, not related to heat is tilling our vegetable gardens to prevent weeds, cleaning the leaves out of the gutters, and adding an additional composting hole to our back yard (one just isn’t enough, need to rotate between two). What are you doing to prepare your home for the winter cold and heating bill? I’d love to hear from you! Set thermostats at 68 degrees instead of 70 – it WILL make a difference. Grab an extra layer or blanket if you need. Have a family meeting to discuss how you will conserve energy by keep bedroom doors closed to keep heat in, turning off lights in rooms not occupied and unplugging appliances that are not in use. Hydrogenated Oils: Information You’ll Want to Read! Are the chemically altered oils in the foods you eat Killing you? Hydrogenated and Partially Hydrogenated Oils are found in countless processed foods on grocery store shelves. So what are hydrogenated and partially hydrogenated oils? They are liquid vegetable oils which have been turned into solid fat. This is done by a process called hydrogenation where the structure of the oil has been chemically changed by adding hydrogen atoms. During this hydrogenation process, some of the fat molecules change shape to create a completely unnatural type of fat known as trans fat. One example is margarine. Trans fats are appealing to food producers because they increase the shelf life of the product. They are commonly found in baked goods, pastries, packaged crackers and cookies, and other processed foods marketed toward children. There are 2 types of hydrogenated oils, partially hydrogenated and fully hydrogenated. Partially hydrogenated oils are by far the worst. They contain significant amounts of trans fat. Fully hydrogenated oils have no trans fats and contain saturated fats only. However, during the process of hydrogenation, there are likely to be some fat molecules that slip through the cracks and are not fully hydrogenated. These fats remain partially hydrogenated and therefore, are likely to contain some small level of trans fat. 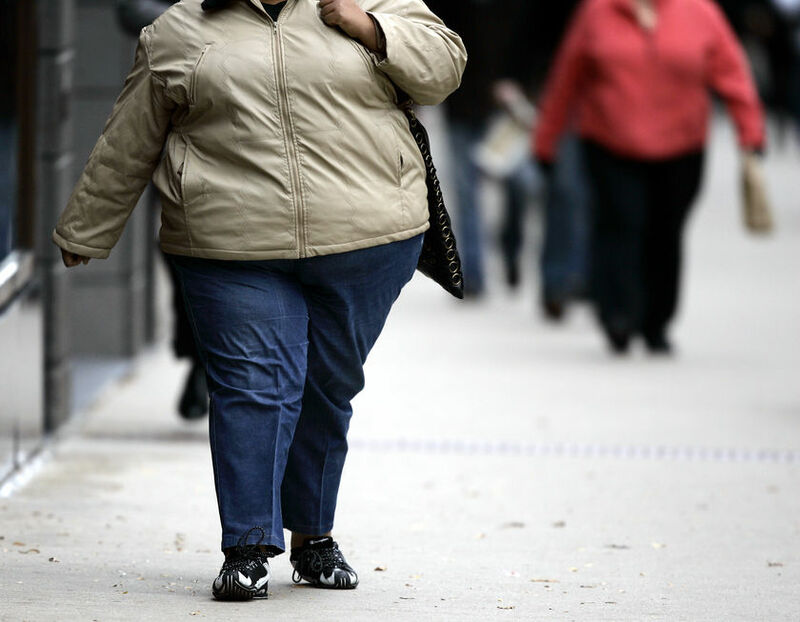 Health ramifications of trans fats are evident and not good. Trans fats increase LDL, the bad type of cholesterol, and decrease HDL, the good type of cholesterol. According to a 2009 study by Harvard School of Public Health, “if you add just 2% more calories from trans fat to your diet there is a 23% increased risk for heart disease.” Trans fat also increases inflammation in the body. Chronic inflammation is linked to cancer, heart disease, diabetes, arthritis, Alzheimer’s, Parkinson’s, acne, eczema, psoriasis, and multiple sclerosis. It is widely agreed that trans fats are far worse for our health than saturated fats. There are no known health benefits of trans fats. So read your labels and be an educated shopper, and your family will reap the benefits. Is Zero Really Zero? No! 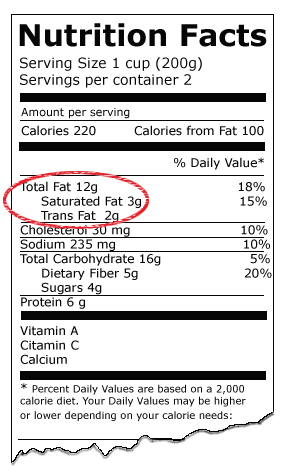 According to the FDA a product can be labeled zero Trans fats if it has less than .5 grams. If you have one serving of “zero” trans fats for each meal a day, after a week you could be taking in 10.5g Trans fats, that is 546g a year, when you think you are getting zero! As a health conscious consumer I find this extremely frustrating and deceiving! It’s loopholes like this that make it difficult for consumers to put their trust in the FDA, that they really do have the consumer’s best interest in mind. Therefore when reading labels it is best to look at the ingredient list. If it contains hydrogenated oil but states zero trans fats, you can guarantee trans fats are in the product. Additionally you need to pay attention to the wording. Often times it will say hydrogenated oil in the label and won’t specify if it is partially or fully hydrogenated. “Hydrogenated oil” and “Partially Hydrogenated oil” are sometimes used interchangeably. Therefore if it doesn’t say “Fully Hydrogenated Oil” then you have to assume that there are trans fats in the product. Knowledge is power! You may be overwhelmed when first digging through your cubbards or walking through the grocery isles at how many products have hydrogenated oils on the label. Don’t be discouraged. 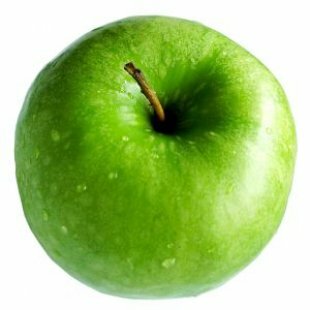 There are many healthy foods out there to choose from, it just takes a little more time and effort to find them. The peace of mind I get from knowing that my family is eating wholesome foods without dangerous additives and ingredients such as hydrogenated oils makes the extra for reading labels well worth it! I hope this gives you the knowledge and power to feel confidant in the foods you give your family. Have you come across any foods you were surprised contained hydrogenated oil? I’d love to hear from you.